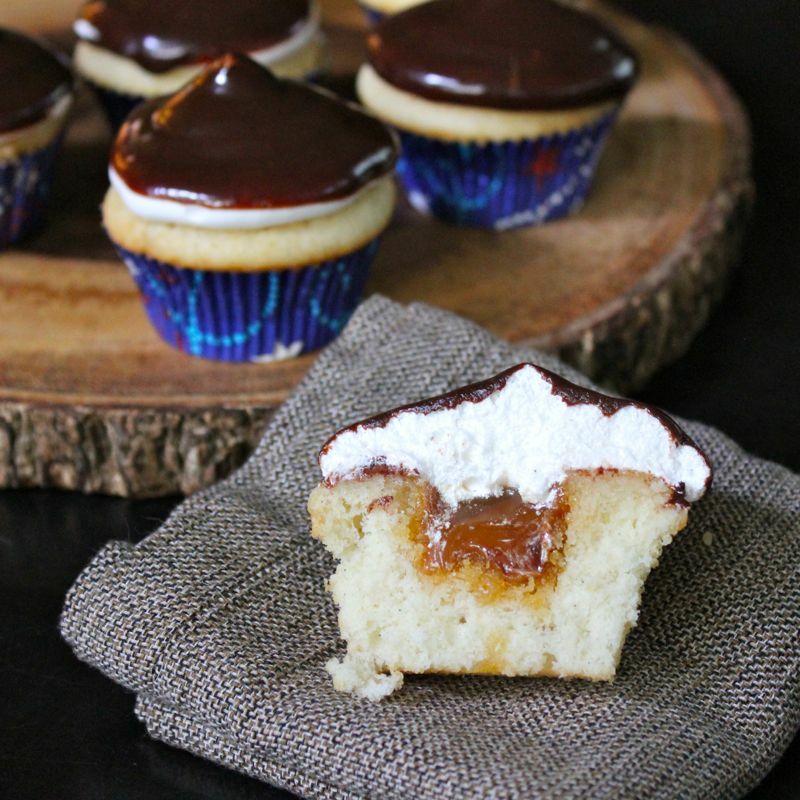 Scotchmallow Cupcakes! That’s right…you heard me. 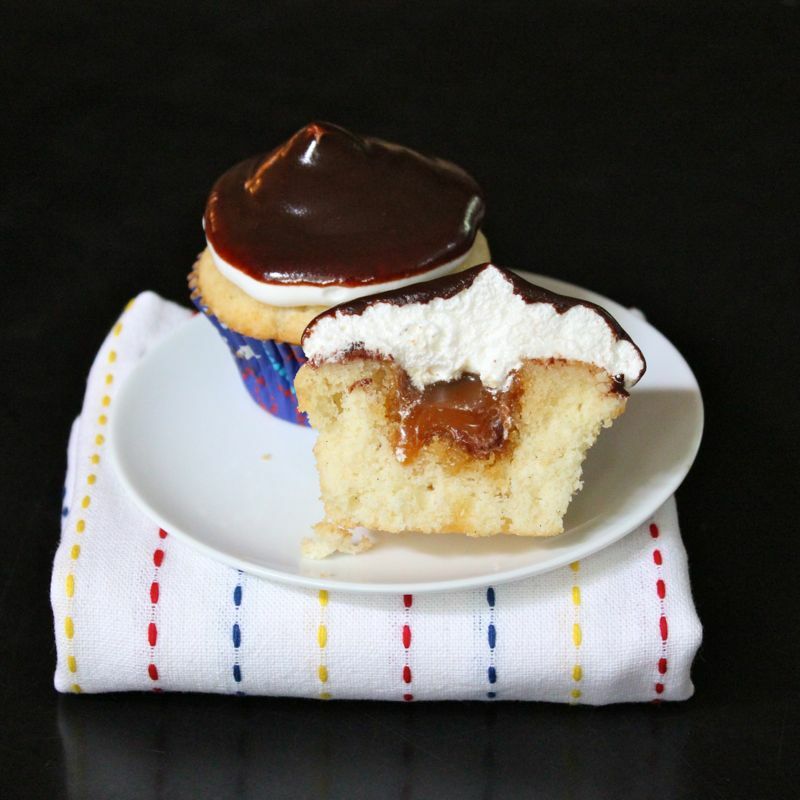 Stop the presses now because I’m telling you that I have managed to create a Scotchmallow Cupcake! So ya’ll better listen up because this delightful little pastry boasts a moist vanilla cake which has been filled with the most decadent Salted Caramel Sauce, frosted with a fluffy Marshmallow Meringue and dipped in a divine Tipsy Dark Chocolate Ganache. If you aren’t instantly smitten, I just don’t know what it will take. A few of you folks out there who have apparently been living a secluded life out under a rock in some meadow may not know where that Scotchmallow part of the name comes from. (Ha! Who am I kidding? The husband and I just found out about them last year!) Some might have expected a butterscotch kind of vibe. But no…no butterscotch here. Scotchmallows are one of the most popular treats at See’s Candies, a SanFrancisco based confectioner. These little bites of heaven consist of a delicious layer of creamy caramel covered by a layer of honey marshmallow which is then enrobed in rich dark chocolate. Before I knew it, I had conjured up this masterpiece. 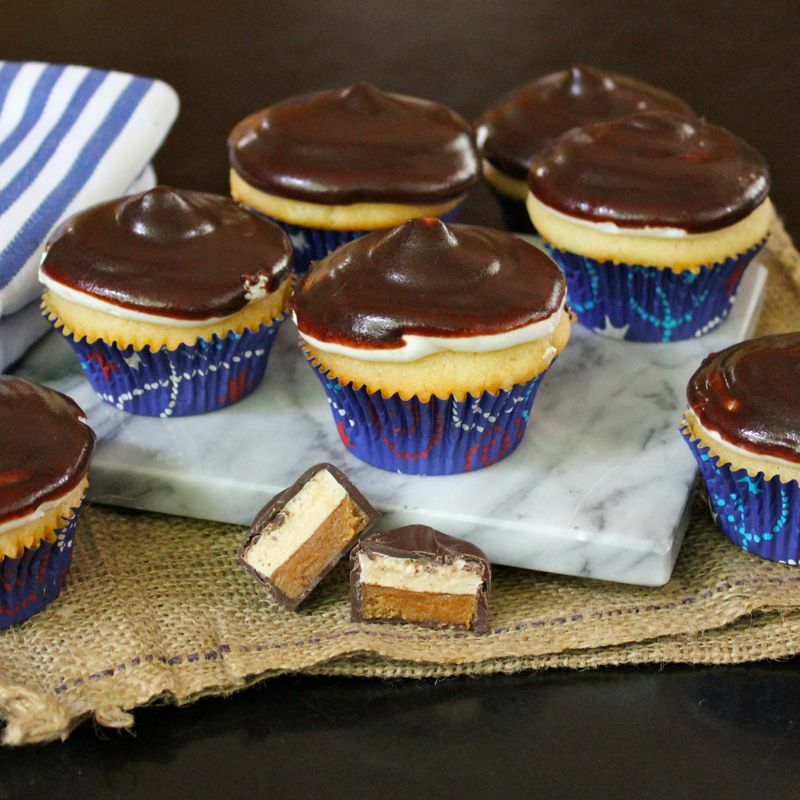 These cupcakes are nothing short of divine! But don’t take my word for it, whip up a batch today. Let the addiction begin! Prepare Salted Caramel Sauce. Set aside to cool. Preheat oven to 350º F. Line wells of 12 cup cupcake pan with paper liners. Once cupcakes are cool, using a cupcake corer or apple corer, cut the centers out of the cooled cupcakes, cutting down 2/3 of the way through the cakes. Take care not to cut all the way through the cake. Fill hollowed out section with salted caramel sauce. You can do this with a spoon, or a piping bag. Prepare marshmallow frosting. Place egg whites, sugar, and cream of tartar in the heatproof bowl of an electric mixer. Set over a saucepan with simmering water. Whisk constantly until sugar is dissolved and whites are warm to the touch, 3 to 4 minutes. Transfer bowl to electric mixer fitted with the whisk attachment, and beat, starting on low-speed, gradually increasing to high, until stiff, glossy peaks form, 5 to 7 minutes. Add vanilla, and mix until combined. Place frosting into pastry bag fitted with a decorative tip. I use a large round tip. Pipe frosting over the top of cupcakes. 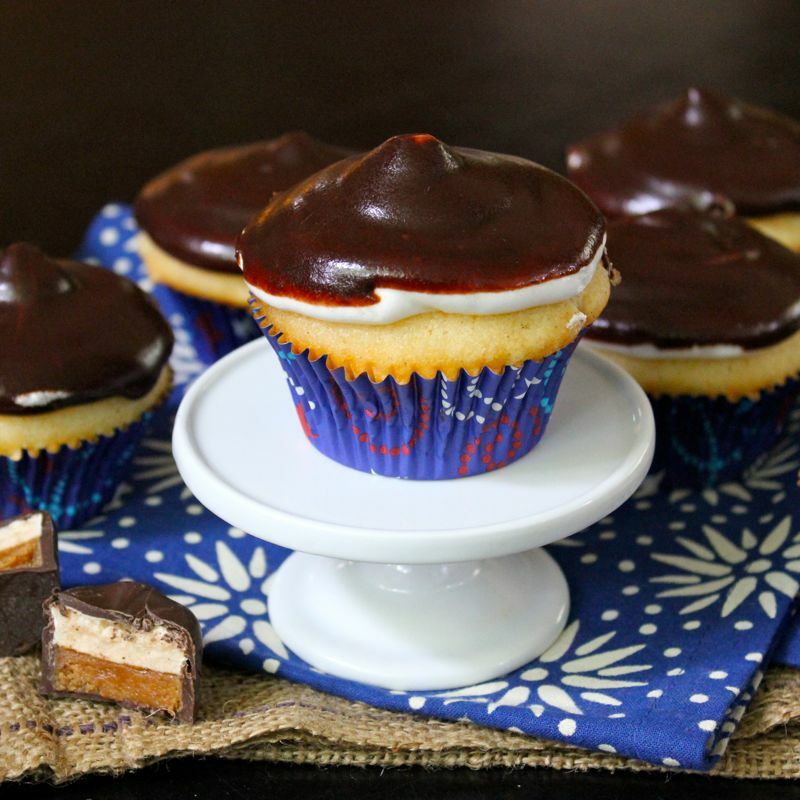 Place cupcakes into refrigerator to chill prior to dipping in the Chocolate Dipping Sauce. Prepare the Tipsy Chocolate Dipping Sauce. Melt the chocolate with the cream and corn syrup in a small saucepan over low heat, stirring until smooth. Remove from the heat and stir in the Marshmallow Vodka. Set aside to cool. Dip the tops of the frosted cupcakes in the glaze right to the edge of the cupcake paper, let excess glaze drip off before turning upright. Let cool, right side up, until the glaze is firm. 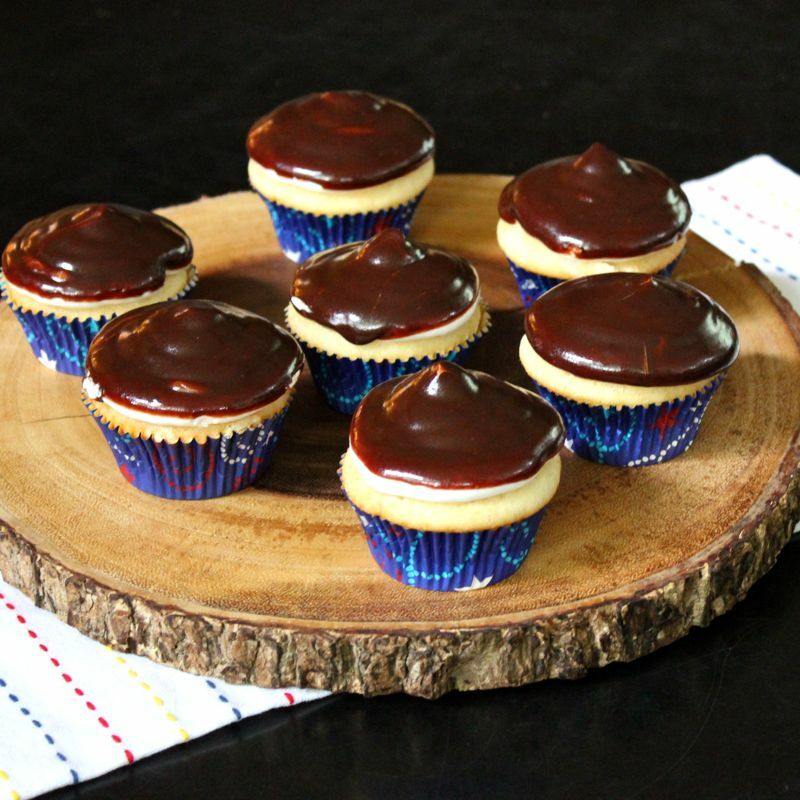 This entry was posted on Thursday, October 23rd, 2014 at 12:33 pm and is filed under Cupcakes, desserts, Recipes. You can follow any responses to this entry through the RSS 2.0 feed. You can leave a response, or trackback from your own site. These look delicious and creamy. Love it! These look just too indulgent! These are the cutest cupcakes ever.. loving the marshamallow top especially!